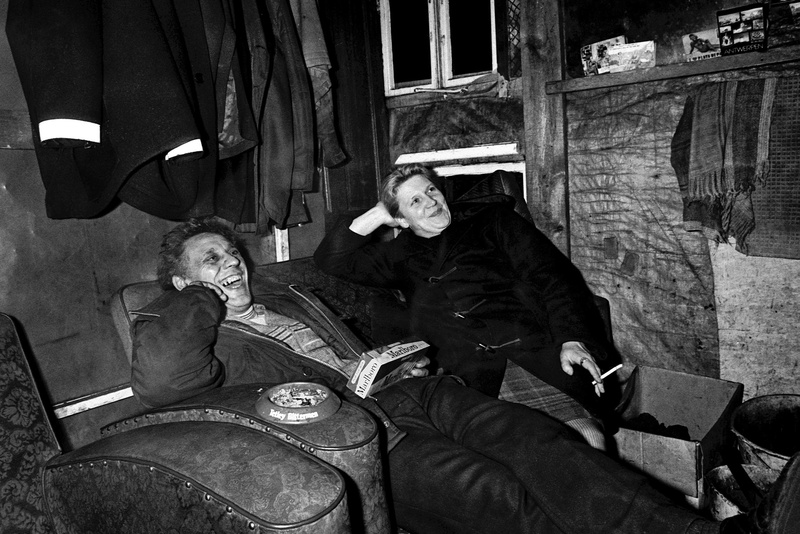 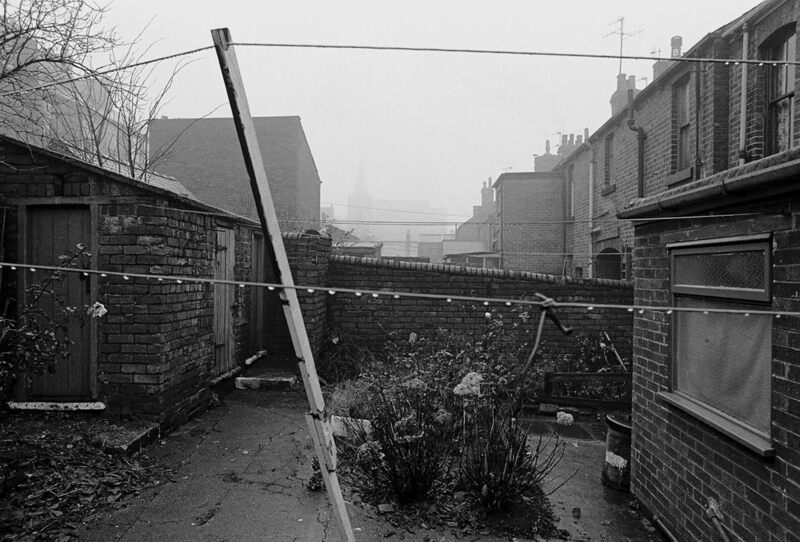 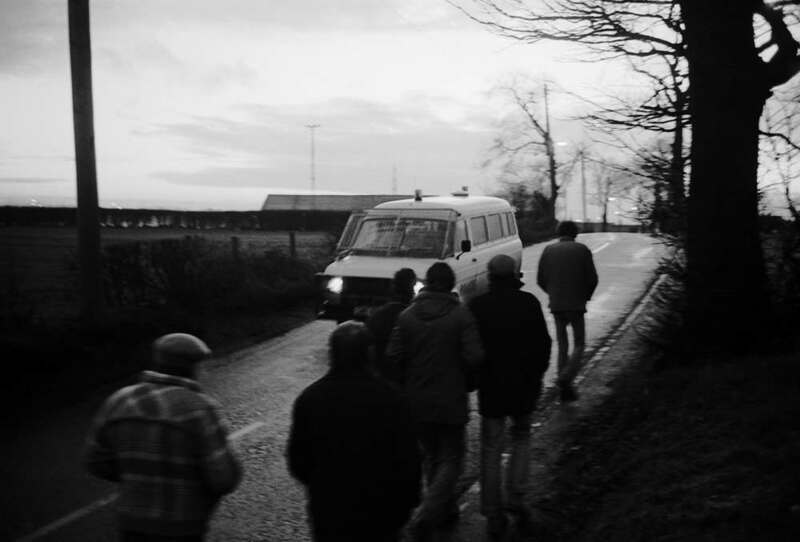 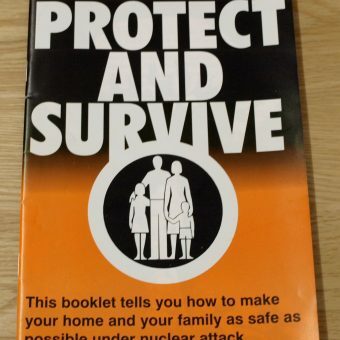 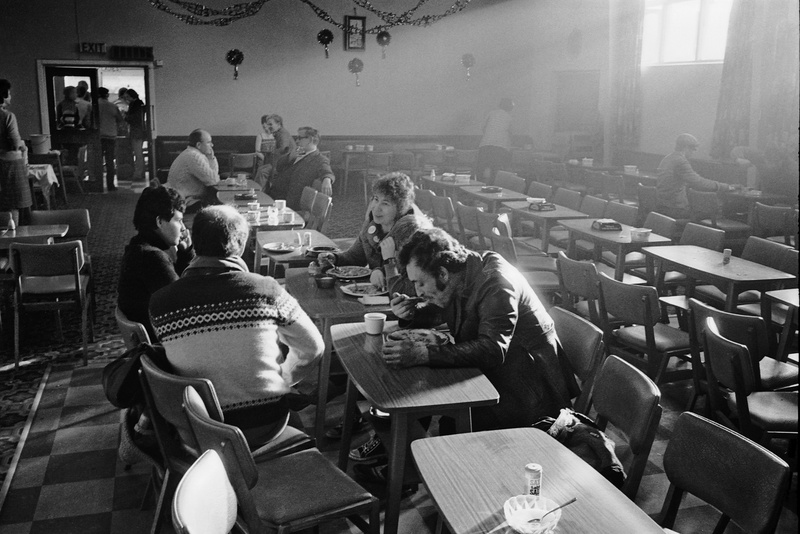 "In 1984, with the UK miners’ strike at its peak, I decided to travel to Britain and document the dispute"
In 1984, the miners’ strike was dividing Britain. 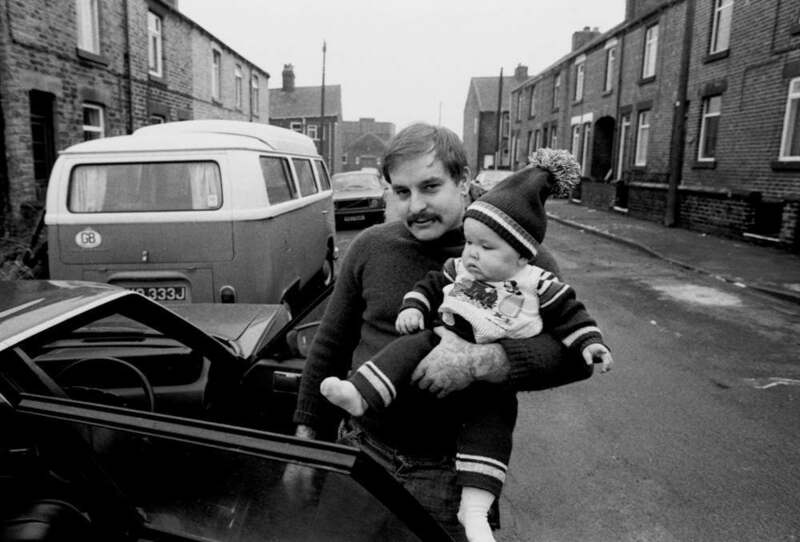 Michael Kerstgens travelled to Britain from Germany to record the working class communities locked in a bitter dispute with Margaret Thatcher’s government. 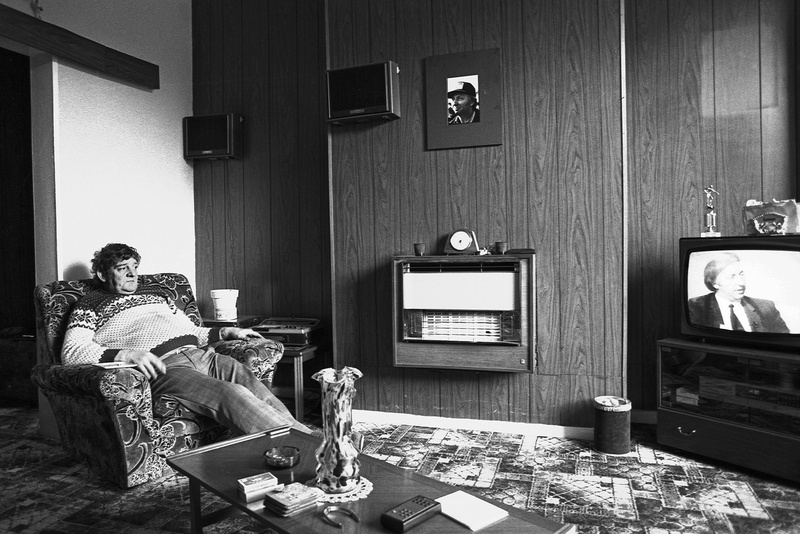 A miner watches an interview with NUM president Arthur Scargill in Wombwell, South Yorkshire, 1984. The slogan was ‘Coal Not Dole’. 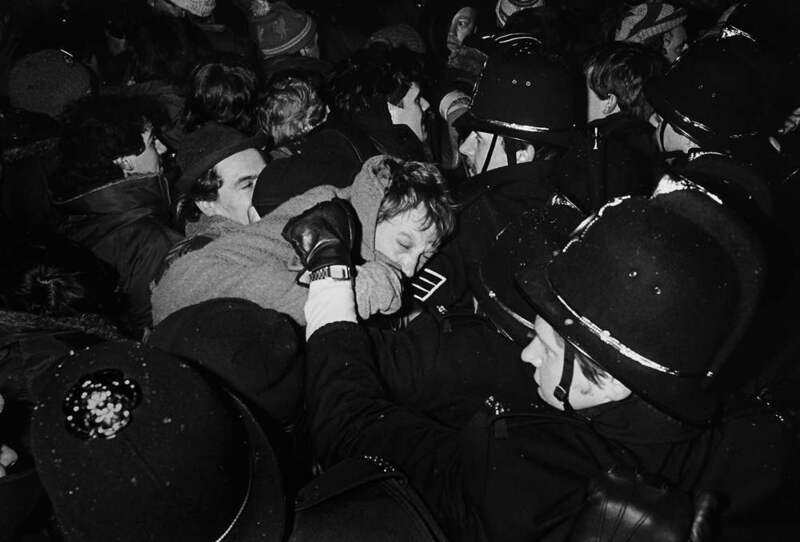 Living in London, I saw it pinned to the coach-loads of protestors who’d journeyed from the North of England and Wales to be heard and seen in Westminster. 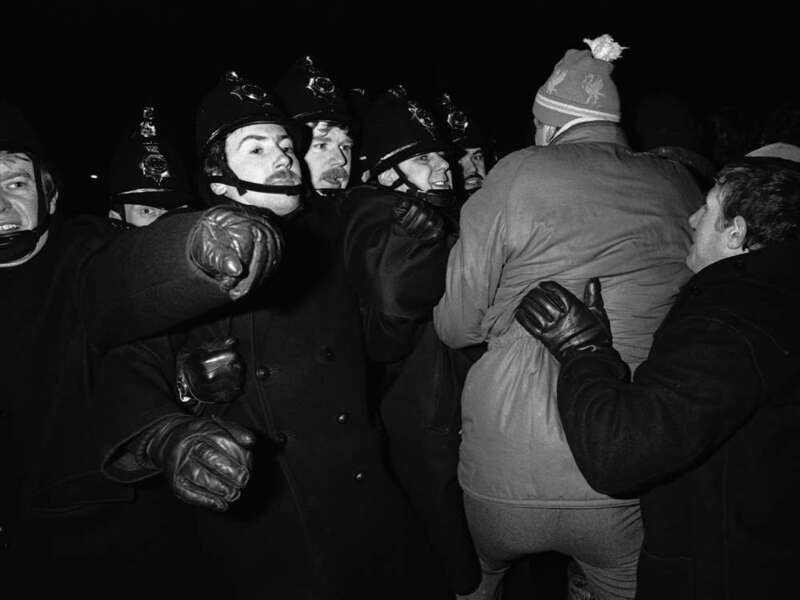 Miners’ union leader Arthur Scargill was presented as hero to the miners and Hitler to the rest of us. 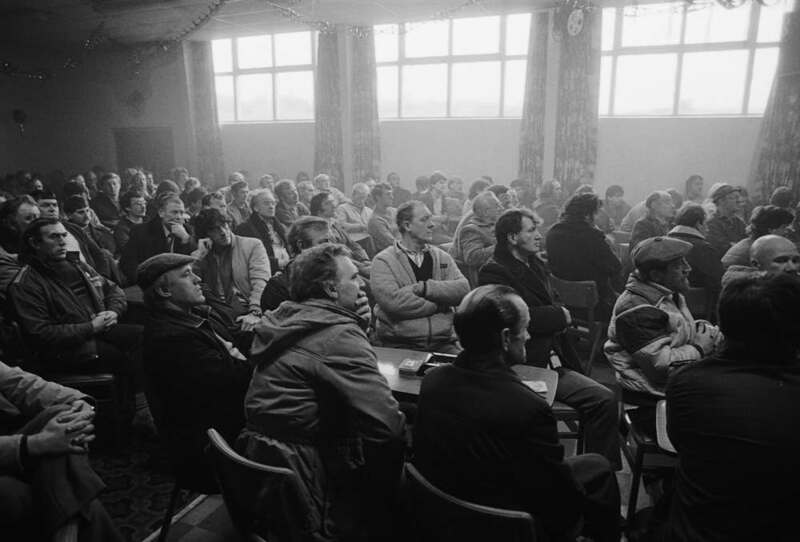 News reports were full of “flying pickets” and “scabs”. 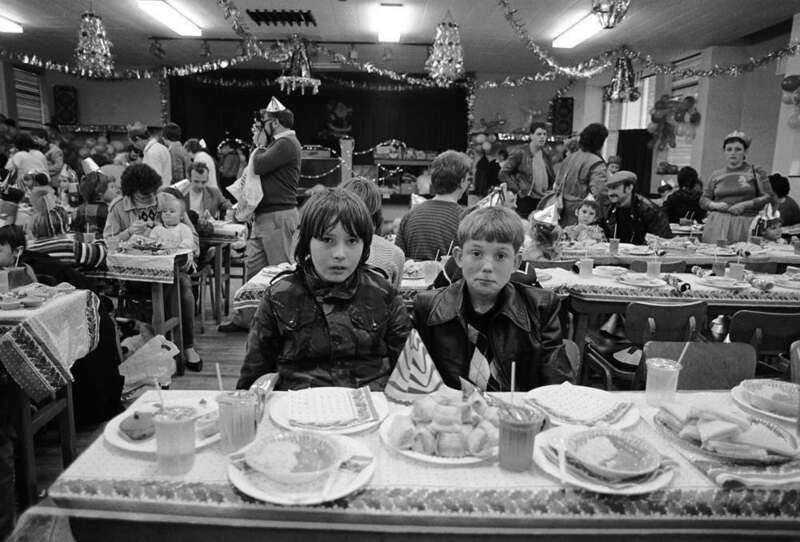 In 1984, with the UK miners’ strike at its peak, I decided to travel to Britain and document the dispute. 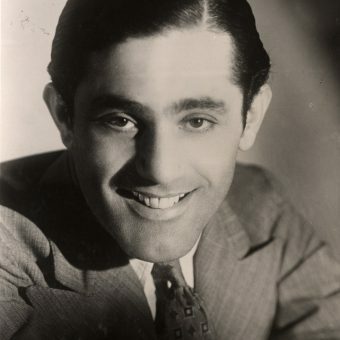 Born in Wales, and with a godfather who was managing director of the Llanelli-based mining supplies company Thyssen Schachtbau Great Britain Ltd., I imagined it would be easy to get close to the action. 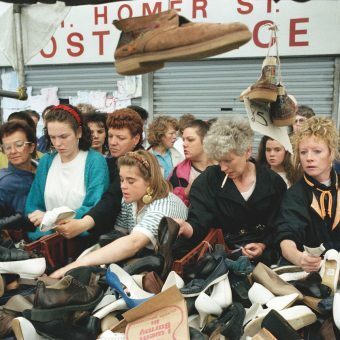 Yet the strike was brutal and had torn a rift through British society. 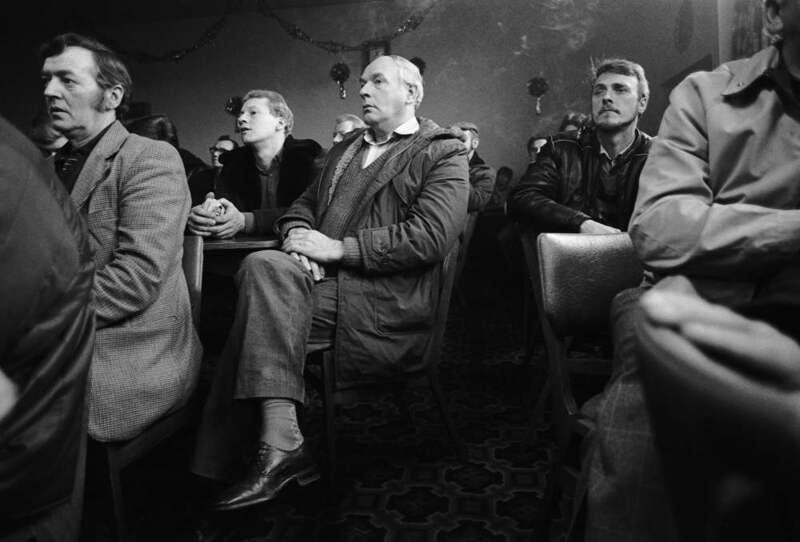 People were wary of me, as an outsider, and so I was limited to photographing events on the periphery, but not the striking miners and their various activities. 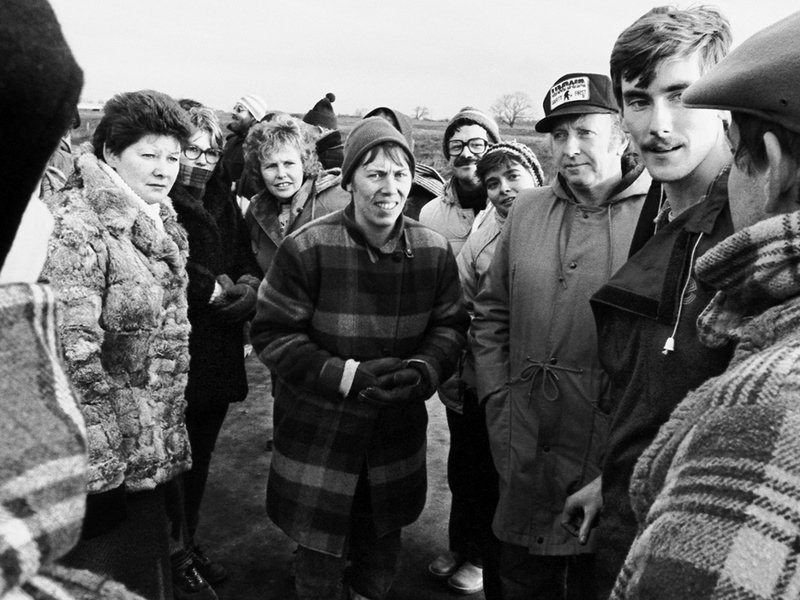 The tide turned when I resolved to travel to the heart of the strike in Yorkshire and there met the activist Stuart “Spud” Marshall. 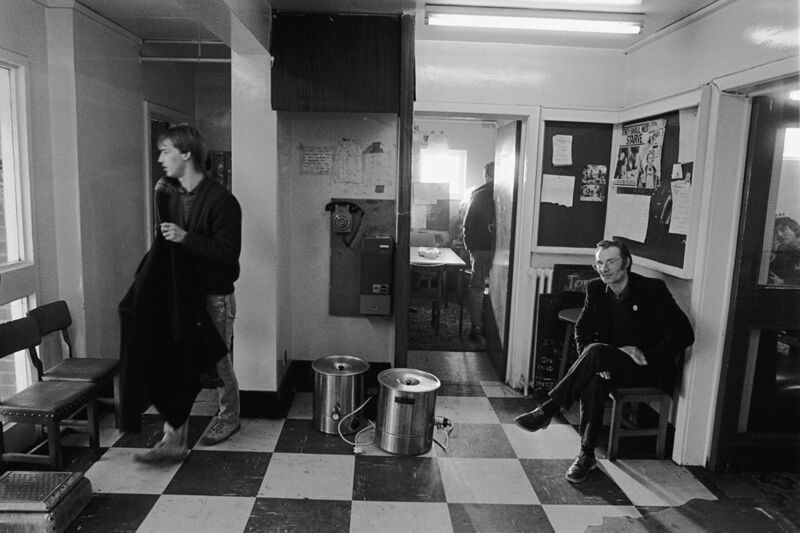 Spud trusted me immediately and opened the door to photograph not only the heat of the action but also more intimate moments beyond the picketing. 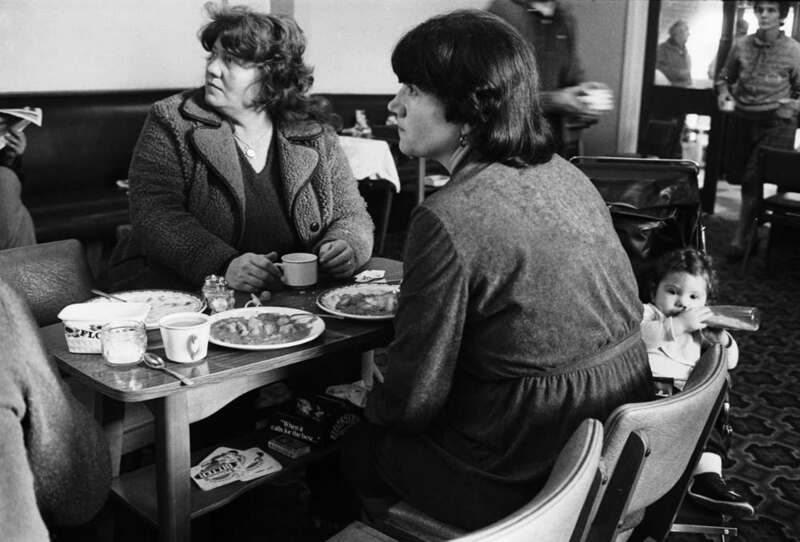 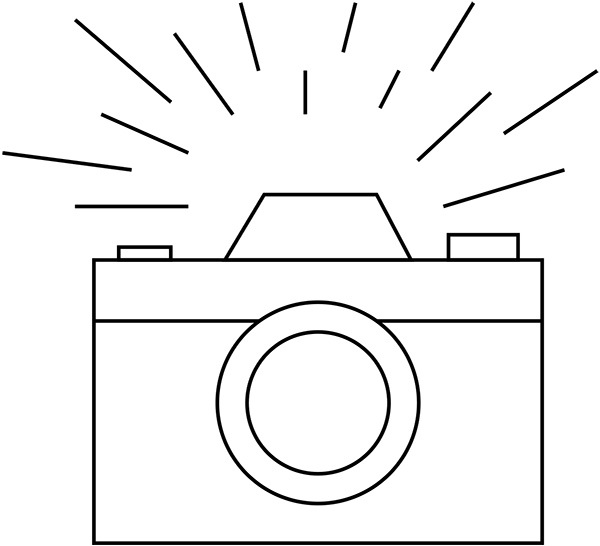 I photographed soup kitchens, meetings behind closed doors, and the wives of striking miners who first became politically active through their help and support in organizing the protest. 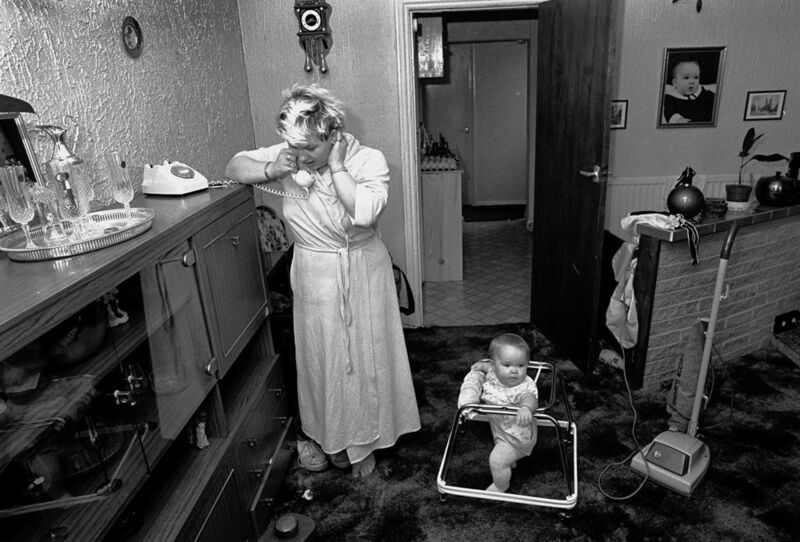 I photographed families at home or with friends at occasional festivities, and striking miners picking low-grade coal to heat their houses. 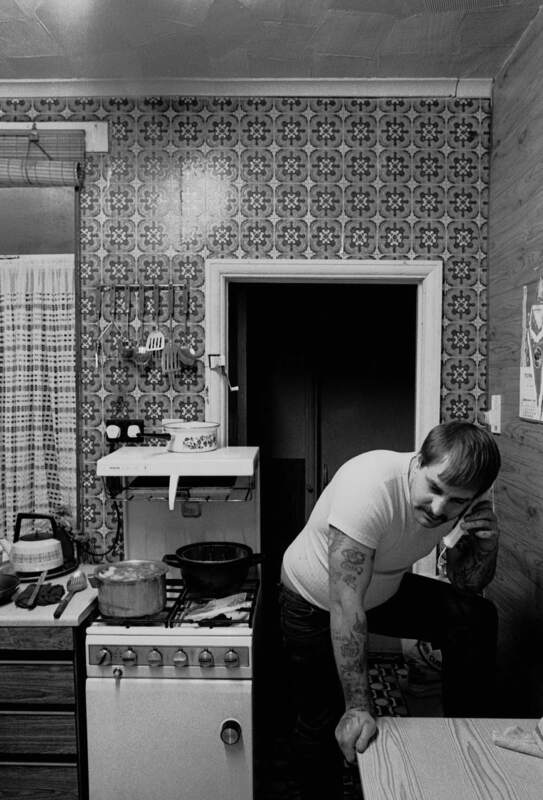 I documented the pride and courage of workers who were deeply rooted in the mining community. 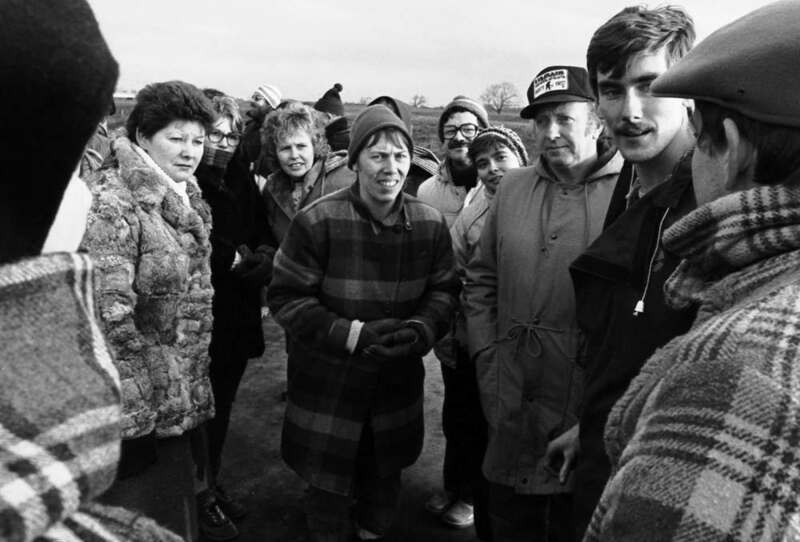 Women from the WAPC picketing with NUM President Arthur Scargill on New Year’s Day at the Ferrybridge coal-fired power station West Yorkshire, 1985. 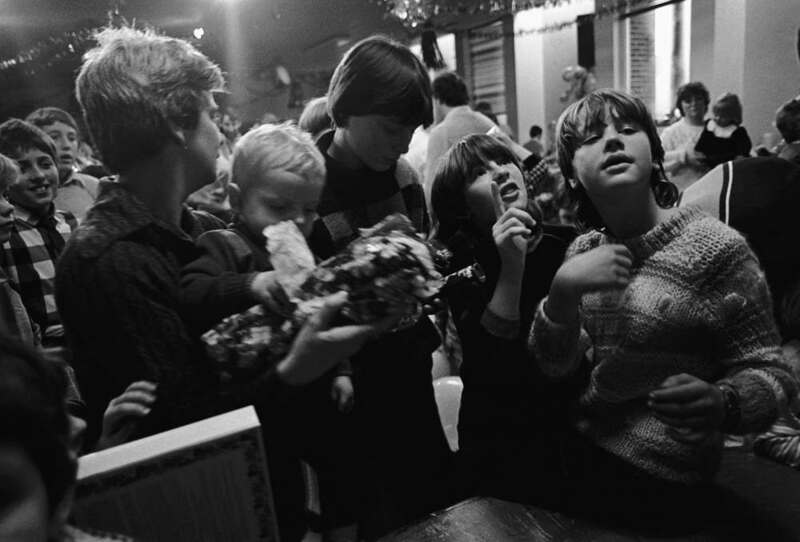 WAPC (Women Against Pit Closures) activist Marsha Marshall supports picketing miners with a donation of cigarettes, South Yorkshire, December 1984. 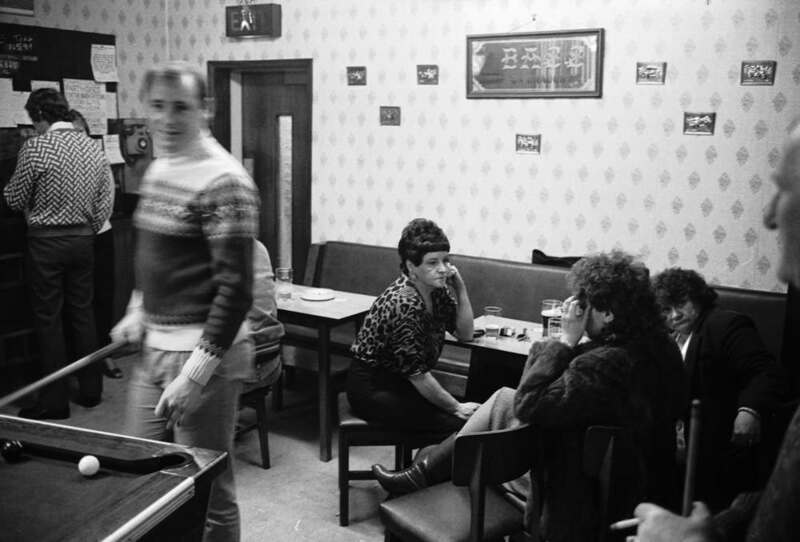 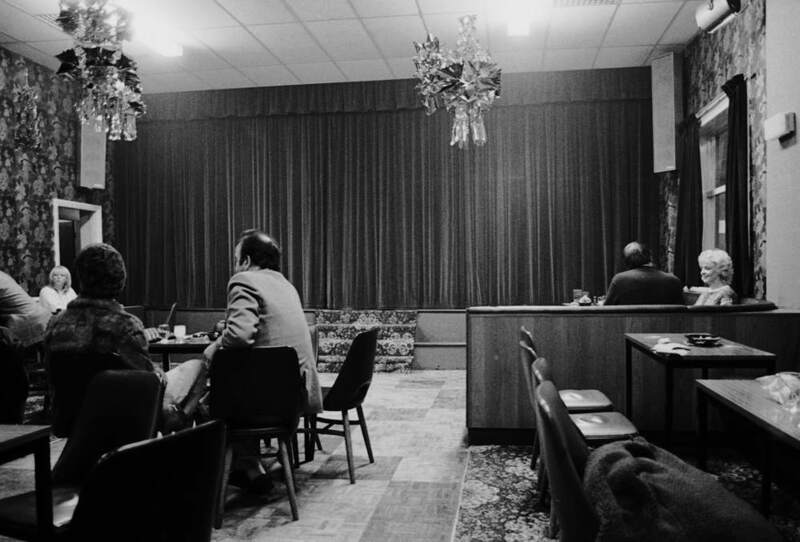 A soup kitchen run by the WAPC at the Mitchell & Darfield Social Club in Wombwell, 1985. 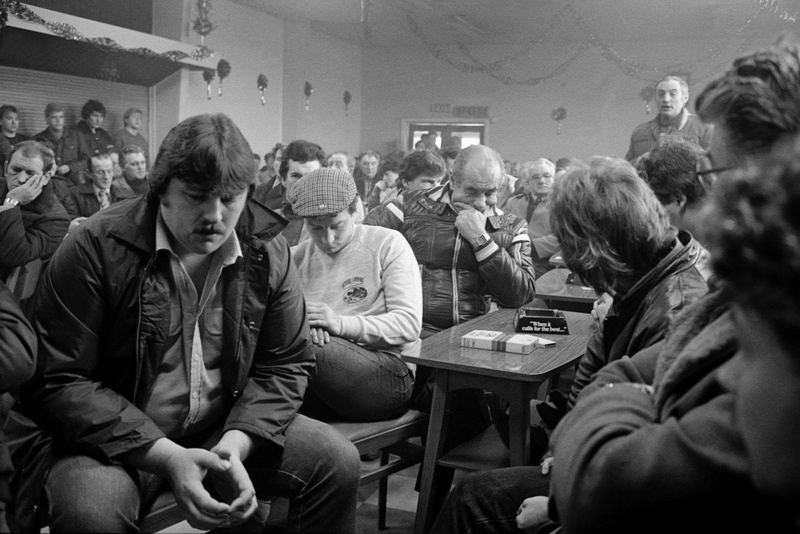 A NUM branch meeting for Darfield Main Colliery at Mitchell & Darfield Social Club Wombwell, 5th January 1985. 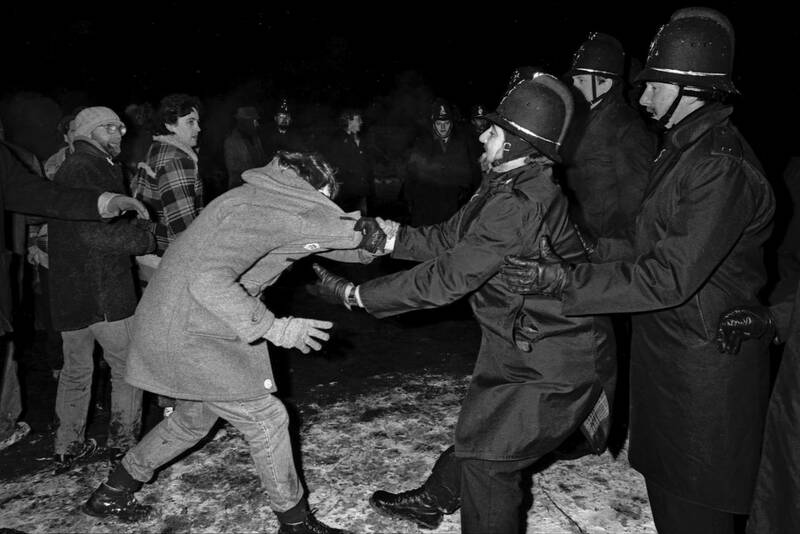 Police try to stop picketing miners at Cortonwood Colliery South Yorkshire, 1985. 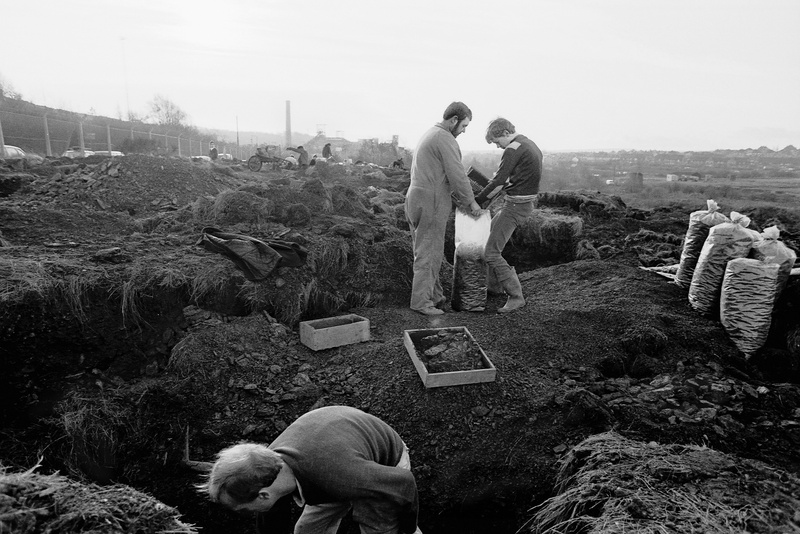 Over 9,000 miners were injured at the colliery during the strike. 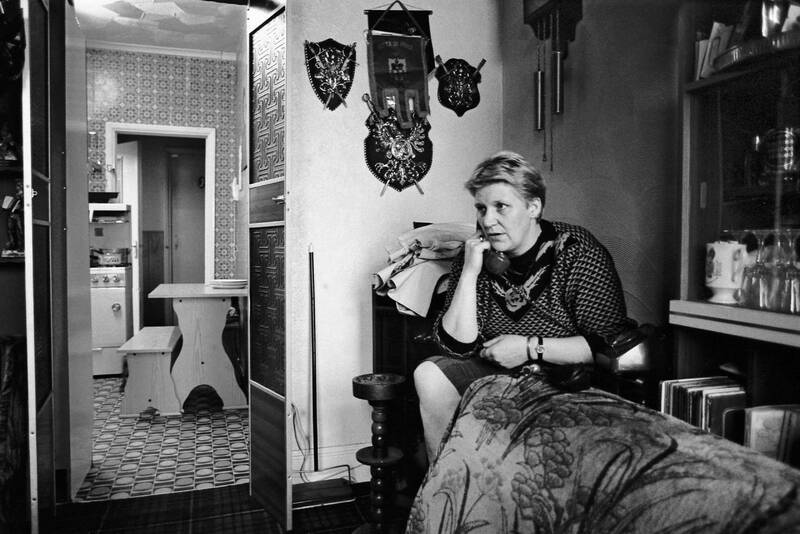 WAPC activist Marsha Marshall on the phone with actress and activist Vanessa Redgrave in Wombwell, 1985. 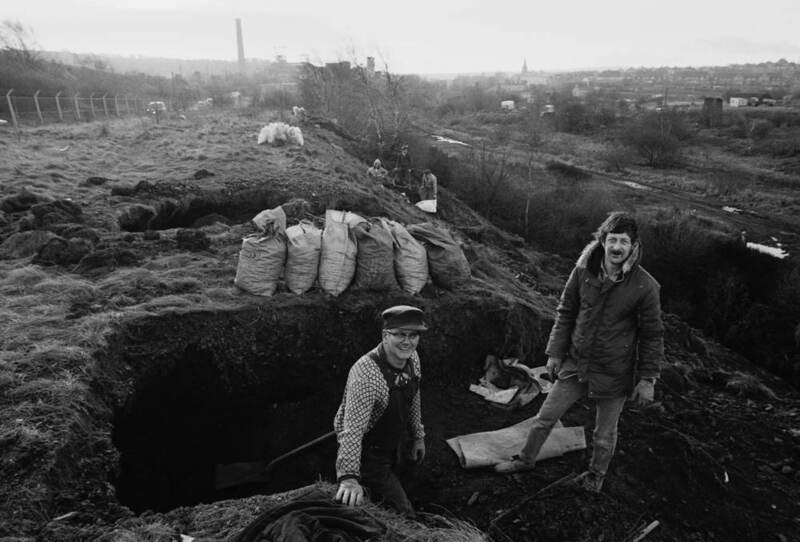 Striking miners picking coal on a spoil heap Elsecar, South Yorkshire, 1984.